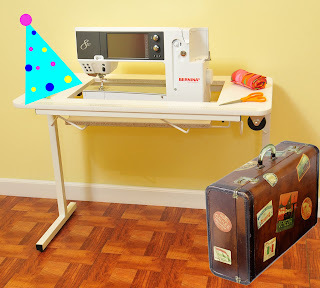 Arrow Sewing Cabinets: The Party Continues! Gidget II is so excited! We hit 3500 fans this week, so she knows she's going on a road trip! She has her party hat on and her suitcase packed, and I swear she threw some confetti at me a few minutes ago! Where is she going?? She's headed to Fort Riley, Kansas to live with Joanna Zamora-Young! Joanna, please take good care of Gidget when she gets there, and send us a picture of her in her new home! We'll be in touch with you after the holiday weekend Joanna, congratulations! Congratulations, Joanna - you'll love her! what a way to start the long weekend! congrats Joanna!! Way to go Joanna! You will love your little Gidget! I live in Singapore. 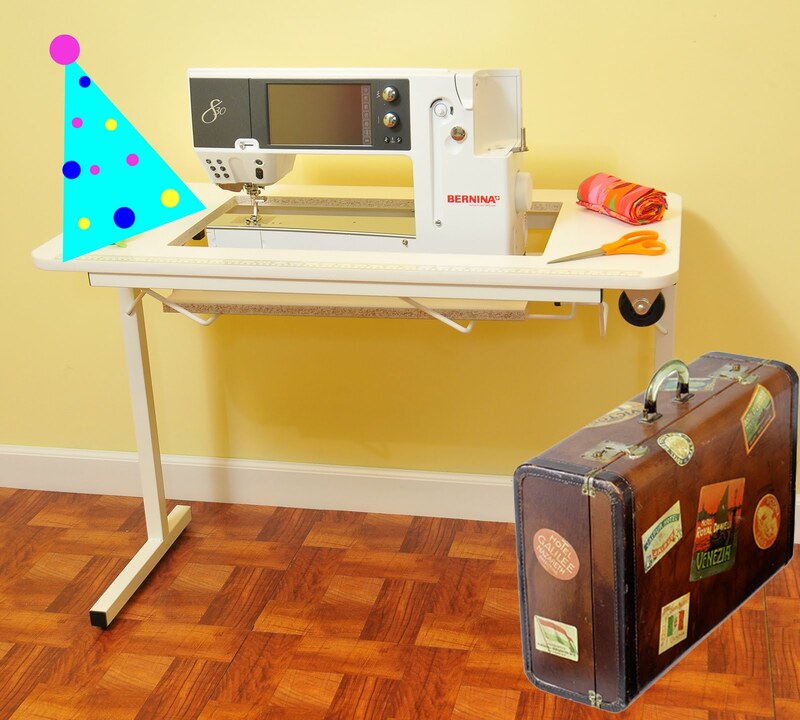 I loved looking at the pictures of the sewing cabinets online. I could only dream of owning one as I love sewing. I was telling my son about how I wished I could get one but when I wrote to your company. I was told that they did not have any dealers in Singapore. I was disappointed. I was just telling my son about it one day and then forgot about it after that. Imagine my surprise when I came home around two weeks ago to find my son at my place fixing the cabinet. He had managed to get the Marilyn shipped to Singapore. This was to be my Christmas present. Get Your Tote On: Our Latest Contest! Yahoo For Yo-Yo's: The Entries!